I really had a tough time with deciding how to present this card. Do I show you the finished card first, and then all the individual steps to make it? Or the pieces and then the grand finale being the finished card? I think I'll show you the "pieces" first, starting with misting. A Stampin Spritzer, Alcohol, a reinker in whatever color you like, and if you want it sparkly, get Frost White Shimmer Paint. You will also need a box and some newspapers or paper towels. Fill your Spritzer about 3/4ths full with the alcohol, add in 6 or 7 drops of the Frost White Shimmer Paint, and reinker. For a darker color, you'll want more reinker, for lighter colors less reinker. There is no set amount of reinker, but go with the thought that you can always add more if it's too light. Screw the cap on tight, and shake well. Please, just do this next part my way. I speak from experience. BEFORE you mist your work of art, you'll want to have a test piece of paper to mist. I recommend testing on the same color cardstock you plan to mist so you'll know exactly how it will look. ALWAYS, ALWAYS, ALWAYS test first. Even if you've misted lots of times. Trust me. Stay tuned for tomorrow, the next part of the card. 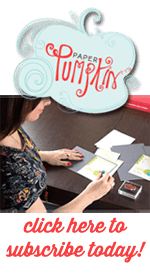 Check out my Store, open 24/7: http://www.dianebrowning.stampinup.net.